Do you want to create professional videos with amazing special effects? 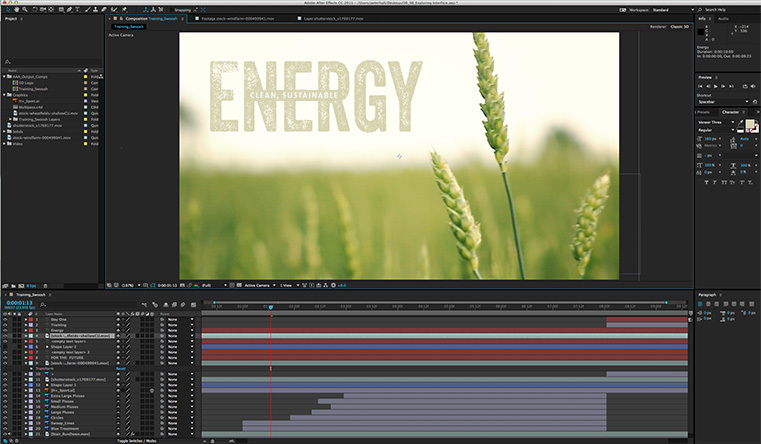 Our After Effects course will guide you through the steps to do just that. We’ll demonstrate professional workflows and expand your skill set with practical lessons. This course is designed to help you learn all the functions and features of Adobe After Effects and get you thinking like a professional video effects artist. Prerequisite: Final Cut Pro or Premiere Pro. This three-day course is for anyone who wants to create compelling motion graphics and awesome visual effects. Industry experts demonstrate professional workflows and provide hands on instruction with practical exercises designed to educate and inspire you.